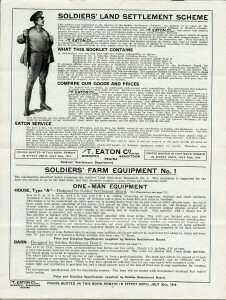 The war created hundreds of thousands of veterans and resulted in a vast expansion of public and private support for soldiers and their families. 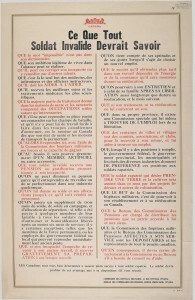 Government programs, including pensions and medical care, expanded the role of the state and supplemented voluntary efforts based on patriotism and charity. 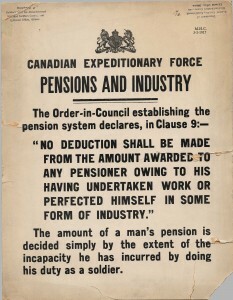 Canada had few war pensioners prior to 1914 and little experience in handling veterans’ issues. Politicians and most bureaucrats were equally cautious about the long-term costs of veterans’ welfare, but recruitment needs, public patriotism, and common sense demanded a more generous and comprehensive approach. Initial planning that focused on the care and reintegration of disabled veterans soon expanded to include long-term disability issues, pension administration, and the return and re-settlement of several hundred thousand able-bodied personnel. 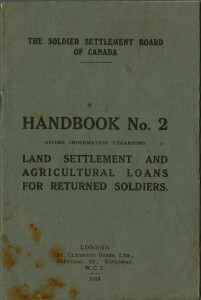 From humble beginnings, Ottawa by war’s end administered a large medical system, long-term care facilities, soldier insurance, a land settlement program, and many other benefits and types of aid. 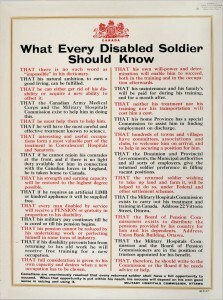 It offered employment preferences for returning troops, led most nations in programs for disabled training, and had the world’s most generous pension rates. In 1920, veterans’ pensions would consume more than 20 percent of federal revenues; in 1914, it had been 0.5 percent. Provincial, municipal, and private initiatives supplemented federal efforts, while charitable organizations offered a wide range of services, including money, to deserving families or causes. Most aid remained grounded in the belief that soldiers and their families would remain responsible for their own post-war re-establishment. Veterans could not be given too little by a proud, grateful nation, but they should also not be given too much. 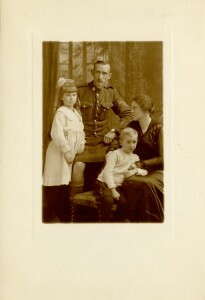 Studio portrait of George Ormsby, his wife Maggie, and their children, Margaret and Hugh. 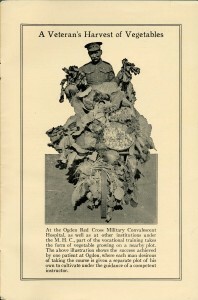 As indicated by the wound stripe on his uniform, this photograph was taken some time after 1918, following the completion of Ormsby's service. 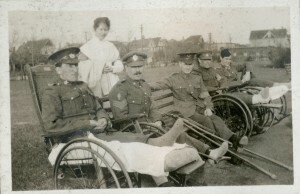 Ormsby served with the 15th Battalion for more than a year before being wounded by shrapnel during the Battle of the Somme in 1916. A second daughter, Catherine, was born after this photograph was taken. 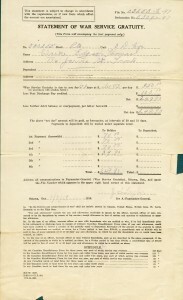 The family developed a fruit farm near Vernon, British Columbia, in the Okanagan Valley on land purchased through the Soldier's Settlement Act.